What are the most common injuries and how can I keep them away? The most common injuries in youth sports are not serious ones. Bumps and bruises happen regularly and the well-prepared coach has first aid supplies and ice or a cold pack ready. Two common injuries that can be serious and sometimes long-lasting are ankle sprains and shin splints. The ankle is a complicated hinge joint with many ligaments supporting. When it gets stepped on or rolled, the ligaments are stretched or torn resulting in a sprain. There is usually pain, swelling, bruising, instability of the joint and an inability to bear weight. Treatment for an acute injury is: stop activity (rest), ice, elevate. A brace or splint may be recommended. If the athlete is unable to bear weight or there is significant swelling and deformity, an x-ray may be needed to rule out fracture. 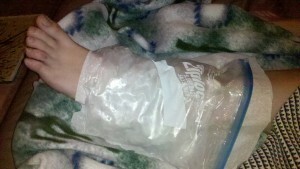 Unfortunately, once ankle has been sprained, it may become chronically unstable and high risk for another sprain. Thus, preventive training and conditioning are essential. A note on re-injury and ankle bracing/taping: weak ankles and previous sprains can make athletes more prone to ankle injury.They should be doing these exercises at least 2-3 times/week even after they are recovered. Ankle bracing or taping can be helpful in the transition from injury to return to play because it provides artificial support. But athletes should not rely on the brace in place of developing the strength and support needed for sensation and full movement. The tibia and fibula bones and the muscles that run along their length that dorsi-flex at the ankle and extend the toes form the front of the shin. When the tendons of those muscles are strained, small tears in the attachment of muscle to bone become painfully inflamed. Usually there is tenderness along the crest of the shin bone (anterior shin splints) or distal 1/3 of tibia (medial or posterior shin splints). At the first sign of shin pain, reduce training volume and avoid running on hard surfaces. 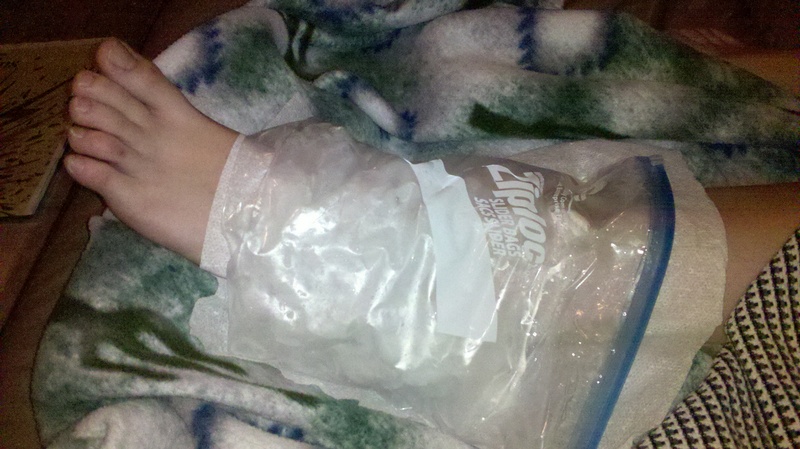 Ice for 15 minutes 3x/day. Cross friction massage and foam rolling will help to break up adhesions and promote healing. 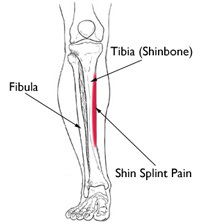 Shin splints tend to persist and worsen if not completely healed. If the shin is tender to direct pressure and there is no relief from pain after resting from training, the athlete should be evaluated for stress fracture. An athlete who continues to play on a stress fracture risks a complete or more involved fracture which requires 6 weeks of complete leg rest for full recovery and return to play. This is why prevention is imperative! Stress rest! To strengthen lower legs and protect against shin splints try this.